Washington, DC-On Friday, U.S. 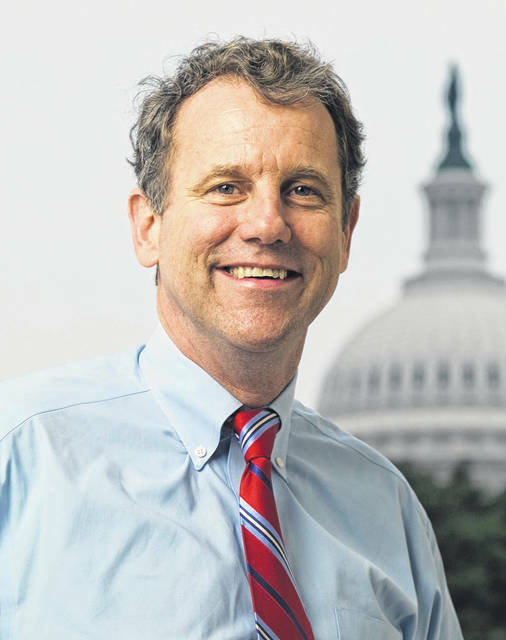 Senators Sherrod Brown (D-OH) and Kirsten Gillibrand (D-NY) announced legislation intended to penalize pharmaceutical companies believed to be engaging in price gouging without cause, leading to price spikes for patients who rely on medication to treat diseases ranging from cancer to addiction. In a press release, the senators stated the Stop Price Gouging Act would hold drug companies accountable for large price increases and result in billions of dollars in savings for taxpayers. Brown and Gillibrand are introducing this bill in the Senate; Congressman Mark Pocan (D-WI) and Congresswoman Marcy Kaptur (D-OH) are introducing companion legislation in the House of Representatives. · Require drug companies to report increases in drug prices and justify the increase. · Penalize drug companies that engage in unjustified price increases with financial penalties proportionate to the price spike. Brown also plans to introduce additional legislation with Doggett, the Medicare Negotiation and Competitive Licensing Act, to allow Medicare to negotiate drug prices. Under current law, pharmaceutical corporations can increase the price of their products without justification. Brown and Gillibrand introduced this bill last Congress and said they would continue fighting to pass it this session of Congress. Any revenues collected through the Stop Price Gouging Act would be reinvested in future drug research and development at the National Institutes of Health (NIH). In 2018, Americans spent an all-time high of $360 billion on prescription drugs. Nearly one-third of Americans polled by the magazine Consumer Reports said they had experienced a drug price hike in the past year, shelling out a total of $2 billion more for a drug they routinely take. Their 2016 survey revealed 30 percent of Americans who experienced a hike in the price of one or more of their medications in the past year left a prescription unfilled because it was too expensive; 15 percent said they cut pills in half to make them last longer. In December 2016, Brown and Gillibrand wrote to President Trump outlining specific steps they claim his administration could take to help Congress reduce prices for working Americans, including: allowing the Secretary of Health and Human Services (HHS) to negotiate better prices for Medicare recipients; requiring drug companies to disclose costs associated with creating drugs so prices are more transparent; putting an end to abusive price gouging; and ensuring competition and innovation that will lead to greater competition and more affordable, effective drugs.